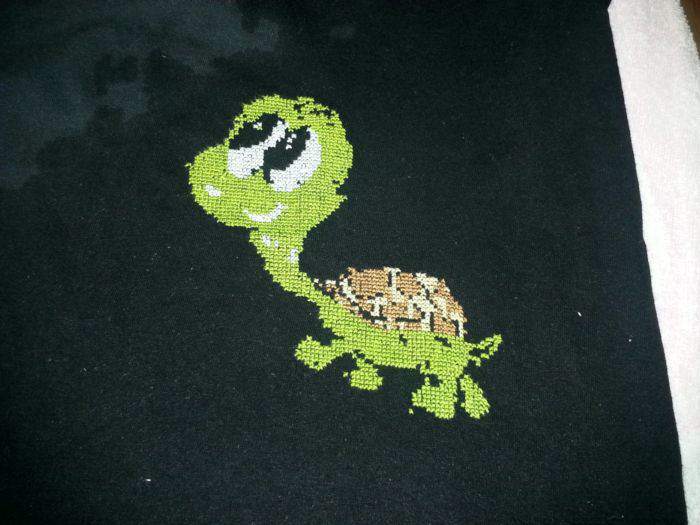 Here is Easy Turtle stitched on a black tee shirt. The neck was stitched slightly wrong, so it’s not the chart. Two extra rows were added to the stitching making it sort of look funny. The black in the chart was not stitched in this because the shirt is black. Waste canvas was used to keep the place. The shirt is wet in the image because this was taken moments after the waste canvas was removed.